With less than 50 left in the wild and this number dwindling, more needs to be done to preserve this critically endangered species, say experts of the Balkan Lynx Recovery Program. Atop the highest peaks of Bjeshket e Nemuna, a national park in the west of Kosovo, hikers may be lucky enough to come across a set of huge paw prints in the snow – even luckier, they might catch a glimpse of a golden spotted coat, fluffy pointed ears or a pair of sharp white fangs between the trees. But the possibility of crossing paths with the elusive Balkan lynx, the region’s largest and most endangered wildcat, in the forests and mountains of Kosovo grows smaller, as one of the only two individuals known to be living in the region was reported dead earlier this month. Poaching, deforestation, lack of law enforcement in national parks and the construction of hydropower plants in protected areas are all affecting the survival of the lynx, and unless these threats are addressed, experts from the Balkan Lynx Recovery Program, BLRP, say the Balkan lynx is at risk of being wiped out completely. At present, less than 50 Balkan lynx remain in the region, with core populations living in the Munella Mountains of Albania and Mavrovo National Park in Macedonia, as well as Kosovo, where two lynx were discovered living in the Rugova Valley. Since 2004, the Balkan lynx, a unique subspecies of the Eurasian lynx, has registered high on the International Union for the Conservation of Nature, IUCN, Red List as a Critically Endangered Species, but 2004 is not the first time the lynx population has been threatened with extinction. During World War Two, the population went down to only 15-20 individuals, but was able to recover by itself in the wild as a result of strict legal protection, rising to more than 280 individuals in the 1970s, even reappearing in Montenegro and Greece, explained Dime Melovski, Macedonia’s BLRP program coordinator. The BLRP began as a transboundary project in 2006, bringing together environmental NGOs from Kosovo, Macedonia and Albania, the three countries in the Balkans that have confirmed the presence of the Balkan lynx throughout their mountains and forests in recent years. Scientists and conservationists in Albania, the Protection and Preservation of Natural Environment in Albania, PPNEA, were the first to begin searching for the existence of the presumed-extinct wildcat. The story of the lynx’s rediscovery began in 2007, not in the mountains of Albania as one might expect, but in the living room of a family in Shkoder. PPNEA found the first evidence of its survival, a taxidermy lynx that had been shot, stuffed and sold, proudly on display on a mantelpiece in the northern Albanian city. Researchers thought if they could trace its origin or where it was killed back to somewhere in the country, it might be possible to find others, alive and thriving, in the wild. Even though the owners of the taxidermy lynx had no idea who the hunters were, they were able to point the researchers in the general direction of where it was procured. These pointers, along with the other stuffed lynx and their pelts the team were able to identify, were enough for PPNEA to find the general locations where the lynx might be residing, and set up camera traps to monitor the area. A few years later, in 2010, the Albanian team was informed of another lynx, this time alive, that was being kept in a cage on show in a restaurant not far from where the taxidermy lynx had been discovered. They were not able to rescue the animal, still injured from being captured with a foot snare, but made sure the lynx was given medical treatment and get vital information on the whereabouts of its capture. 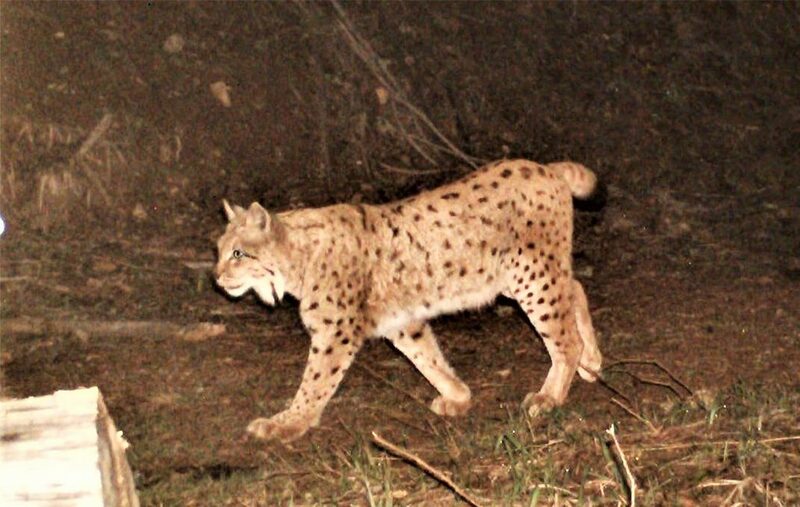 Soon after, in March 2011, PPNEA were able to snap the first pictures of wild Balkan lynx, deep in the Munella Mountains. Meanwhile, camera trapping sessions in Macedonia from 2008 and 2010 revealed the existence of between 20 and 44 individuals living in the Mavrovo area, much smaller than the estimated 120 that were recorded there in the 1970s. Fast forward to 2015: in Kosovo, there had been no evidence of the Balkan Lynx’s existence for more than 30 years, other than rumors and stories of sightings by people living in the mountains. Kosovo’s BLRP partner, ERA, started to piece together these rumors and investigate in the Rugova Valley. 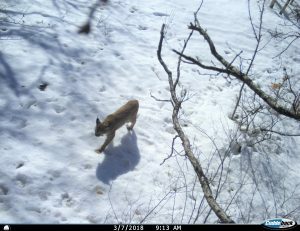 The first recorded pictures of the Balkan lynx in Kosovo surfaced from camera traps set up in Bjeshket e Nemuna in 2015. As they trekked out to remove the camera traps, the team were shocked to find 3 pictures of a lynx stalking through the snow. Sanaja explained that studies into lynx habitat in the Balkans had identified Kosovo and Montenegro as making up 40 per cent of the suitable area for their reproduction and habitation, the other 60 existing in Macedonia and Albania. This suitable habitat for the lynx, mountainous regions, remote rocky areas and dense forests, all have one thing in common: they are subject to high levels of mining, logging, highway and hydropower construction, along with other highly exploitative human activities that threaten the flora and fauna that thrive there. Biologist and large carnivore expert, Mareike Brix, explained that illegal deforestation, the cutting down of private and publicly owned timber, has a direct effect on the lynx’s survival, causing both economic and ecological destruction and degradation of habitat. Human exploitation of forests affects every animal, Melovski explained, and particularly those forests in which the lynx lives. According to him, it is important that large mammals, like roe deer and chamois, the lynx’s key food source, also have their own stable population, food source and habitat. Sanaja said that there are two other categories of illegal poachers in Kosovo. While there remains to be some individuals that hunt a few times a year as part of their culture, carrying on a family tradition since before the war, there are also those who began to go into the mountains in the late 1990s following a surge in the amount of guns in Kosovo, and shoot at animals for fun. Since then, they have continued to do so. Large carnivores like the lynx rely on the same resources humans do, Brix explained, creating the perception of natural competition between humans and carnivores like bears, wolves and the lynx that can be used to justify their persecution. This perception is sustained by the fact that the lynx is almost never seen in the wild: in a 2010 study conducted on the knowledge and perceptions of hunters in Macedonia of the lynx, it was concluded that their elusiveness, ghostlike presence, speed and perceived aggressiveness can provoke fear that is largely misplaced. 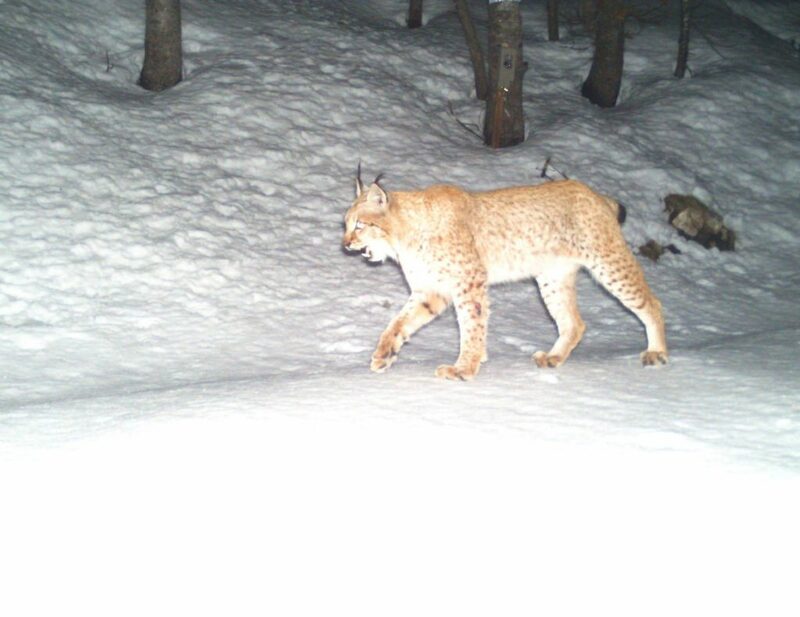 In truth, the study explains, the lynx keeps to itself, its habitat far from where humans live, and very rarely hunts from farmers’ herds or in mountain pastures. “The lynx? He is even more dangerous than the wolf and the bear, because the lynx, if he wants to hurt you he climbs on a tree, you do not know, you just pass there… he can fall upon you, directly on the neck. He is dangerous!” said one hunter quoted in the report. This socially constructed image of the Balkan lynx as a ghostly killer hiding among the trees creates a fear of the unknown that, like with many large carnivores, can result in misplaced negative perceptions about their nature and can encourage hunters to target them as a threat to safety for human and livestock alike. This is not the only kind of construction that puts the lynx in danger. The widespread increase of hydropower plants, huge structures built into rivers to draw water and generate electricity from them, can increase the threats above tenfold, and have the ability to deplete prey and shrink hunting and reproductive grounds at an alarming rate. Similar to logging practices, hydropower construction requires opening up access roads, routes through the forest that allow construction workers to reach parts of the forest they would not be able to with machinery. Not only does this split up habitat, but it also makes it easier for hunters to get access to remote areas where the lynx resides and put down snares, Melovski explained. 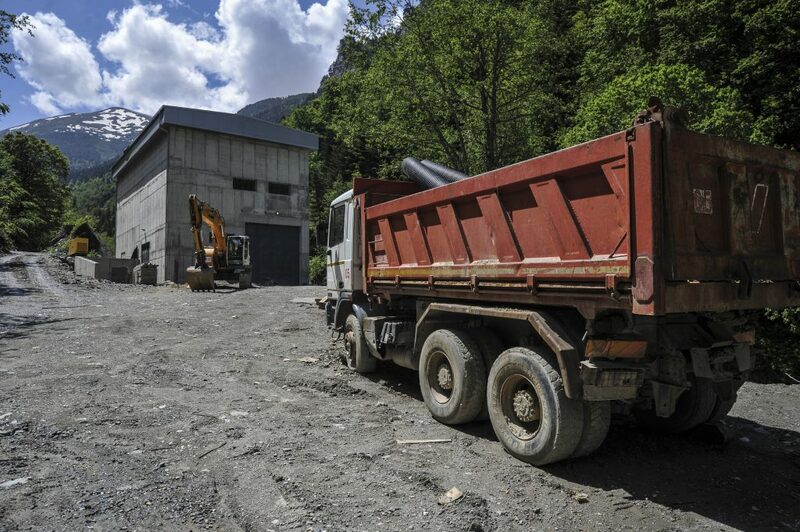 In Kosovo in particular, the ERA and local activists are attempting to suspend further construction permits for hydropower following a glaring water problem in the Decan area, caused by the plants drawing from the fresh water sources of the surrounding villages. The threat posed by hydropower triggered an initiative from Austrian Organization RiverWatch in 2012, who started a campaign alongside the BLRP to save the protected areas under threat from hydropower construction. “It’s something that is pretty tricky here, because we do want sustainable electric power coming from sustainable sources, and sources that would not pollute the environment,” said Melovski. “But on the other hand, building this kind of huge hydropower will affect the environment and the infrastructure will definitely cause harm to many species. The Balkan lynx, as a critically endangered species with only 50 left in existence, should not be pushed further by these kinds of activities,” he said. RiverWatch’s campaign, made into the documentary “Save the Blue Heart of Europe,” highlights that money from the West is being pumped into these hydropower projects, threatening to destroy the rich beauty and biodiversity in Balkan rivers. Since last year, Melovski and his team are focused on identifying the general conditions and hunting practices in Macedonia, hoping to understand what drives hunters to poach endangered species like the lynx. Their ultimate aim is to restrict or ban the hunting of the lynx entirely. In Kosovo, ERA have also worked closely with hunters and people living in communities where hunting is regular practice, but have come up against serious opposition while lobbying to protect these areas. Although these hunters and the communities that live close to lynx habitat have helped ERA conduct baseline surveys, monitoring and setting up camera traps in the region, the tendency to be secretive about their hunting habits stunts any progress towards prevention of poaching. In Albania, a complete moratorium on hunting was introduced back in March 2014, and was extended until 2021. The Albanian government was also responsible for securing the special status of the Balkan lynx in December 2017 as a strictly protected species through the Bern Convention, an agreement under the Council of Europe for the preservation and protection of European wild plants and animals and their habitats. It was through this agreement that Macedonia found its own innovative way to help protect the lynx and its core habitat, the Mavrovo national park. Similar to Kosovo, the Macedonian government has made plans for more than 20 small hydropower plants to be built in Mavrovo alone. After putting pressure on the World Bank for securing the loan for the plant’s construction before an environmental impact assessment, EIA, was conducted, through petitions and complaints to the Standing Committee of the Bern Convention, funding was withdrawn and the project was cancelled. Complaints were first brought in 2015, when the Macedonian government was requested to ensure that any hydropower being built in Mavrovo would have the correct EIA conducted before construction took place. When this request was not complied with, in December last year the Macedonian government was requested to suspend all planned construction until the assessments were completed. The Committee concluded that it would be unwise to put this additional stress on the lynx, given Mavrovo’s importance for its survival. Further, the government was asked to confirm Mavrovo’s status as a national park. At the moment, the park’s categorization in national law does not afford full protected status to the area, leaving gaps that allow hydropower construction to continue in spite of the rich biodiversity in the area that would be affected. Despite robust policies in place in Kosovo’s national parks, Sanaja believes that law enforcement needs to be more reliable. In Macedonia in particular, the fight to obtain protected status for national parks and other areas remains difficult, despite the obvious advantages this will have economically for the country. “The government haven’t realized what kind of benefits they can have from sustainable and rural tourism, they haven’t grasped the concept,” said Melovski, explaining that despite working with and showing the government how this could work, it is still too far-fetched for them. The next steps, according to Melovski, is for the Balkan Lynx Recovery Programme to turn their research into practice. For Kosovo, however, law enforcement is not enough, and the solution has to be community based, according to Sanaja. Sanaja explained that once the communities that engage in poaching are more diversified, and those with more awareness of nature and conservation find a collective voice, then improvement in the lynx’s protection could be possible. 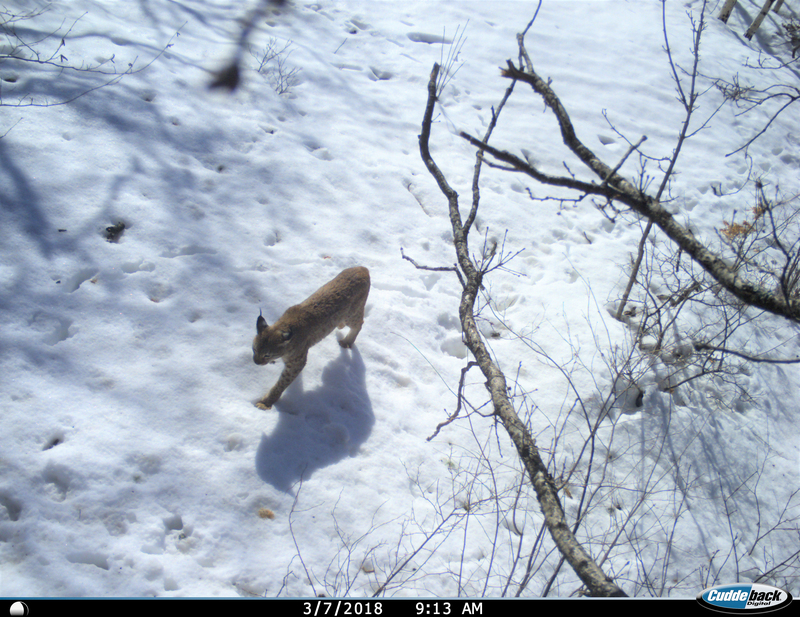 The BLRP in Kosovo remain optimistic despite the death of one of their lynx, and will be starting the next camera trapping season in autumn this year, as well as continuing educational programs to inspire as many people as possible to respect and preserve the lynx’s habitat.